In yet another example of companies seemingly unaware that using a culture/religion’s symbols to peddle a product is likely to cause controversy whether the intentions were ill or not, a United States brewery is busy apologizing to anyone offended by a Gandhi robot on its beer labels. 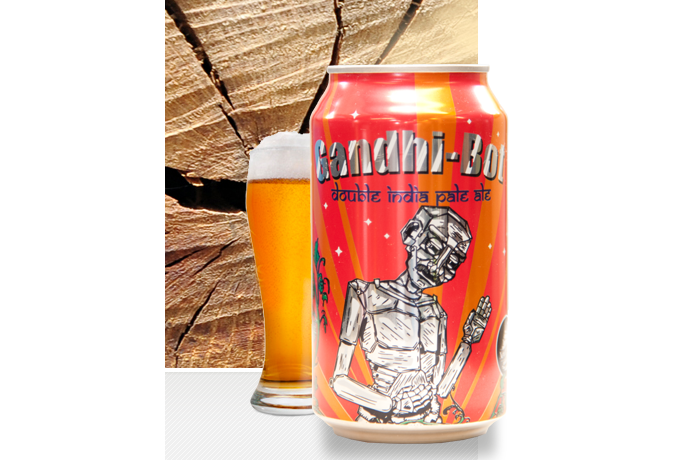 New England Brewing Company responded to a petition filed in an Indian court saying the “Gandhi-Bot” India Pale Ale label, featuring the pacifist leader of the resistance against British rule in his country as some kind of android, is “insulting,” reports the BBC. While the company’s site touts the beer as an “ideal aid for self-purification and the seeking of truth and love,” the petition claimed that the brew insulted the leader, who didn’t drink any alcohol whatsoever. “We do apologize if the good people of India find our Gandhi-Bot label offensive. Our intent is not to offend anyone but rather pay homage and celebrate a great man who we respect greatly,” Matt Westfall, head brewer and partner at the Connecticut-based company said in a Facebook post on the brewery’s page. Who those relatives are, no one appears to know.